On September 2nd, AKB48 Theater manager Togasaki Tomonobu commented on members Miyazawa Sae and Takajo Aki's transfers overseas through his Google+ account. 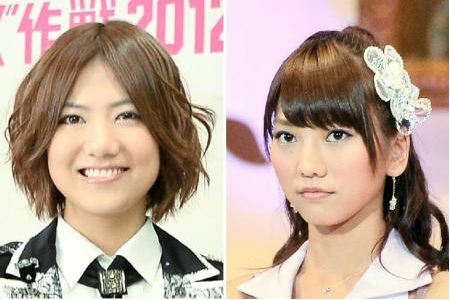 During AKB48's concert at Tokyo Dome on August 24th, there was a surprise announcement that Takajo and Nakagawa Haruka would be transferring to JKT48 (Jakarta, Indonesia), and Miyazawa and Suzuki Mariya to SNH48 (Shanghai, China). In response to the many questions from fans, Togasaki confirmed that the members would be transferring within this year. He also revealed, "About the members who are reassigned overseas, will they transfer or study abroad? I received a lot of questions. The four members reassigned overseas are transferred for a limited time. We scheduled their transfer from half year to one year." Regarding their participation in AKB48's events, Togasaki stated, "I will be posting them in another entry. Please wait for a while," promising further news on the members.